Kalloni has only mathematical chances to avoid relegation if they miraculously win their last 7 matches. The only problem is that PAOK, AEK, Atromitos and Olympiacos are the last four teams they will face. 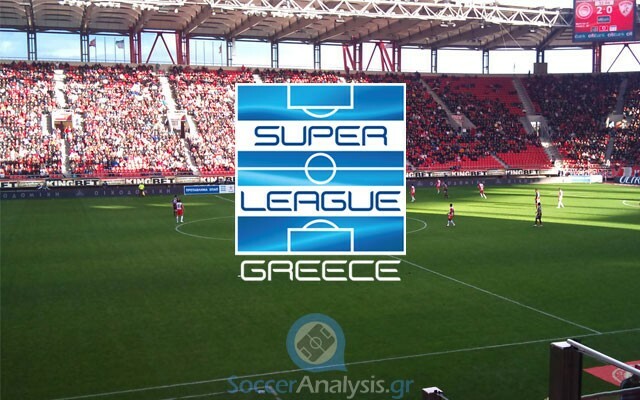 Platanias is a better team in every aspect but we should keep in mind they are out of motive. They come from a home draw against Panetolikos (1-1, they should have won) which ended their mini winning streak (Asteras Tripolis 2-0, Panthrakikos 0-2). If Platanias really needed points here I would not hesitate for a moment but the truth is they do not. I like the odds in this option especially when Kalloni tried hard in their last two home matches (Panthrakikos 2-0, Panionios 1-1). Having in mind the interesting history between those two teams, I will also include the win of Kalloni @ 3.50 in my betting options. *Coach Matzourakis was hired by Xanthi 3 times (1996-1999, 2004-2006 and 2008). The fans of his former team were furious at him in the match of the first round because he was protesting for the decisions of the referee which allowed Xanthi to turn the match from 0-1 to 3-1. *The two clubs have faced each other 7 times in Super League since season 2011-12. The home ground effect is more than obvious with 6 home wins, 0 Draws and 1 away win. The undefeated streak of Panetolikos is way too much for their quality but it looks like Matzourakis has found the trick to get points at Agrinio. My guess is today he will want the win more. Not because his team is really after the Play Offs but because he has not forgotten the things he heard by the fans of Xanthi at the match of the first round. I am very disappointed by both teams this season. PAOK got rid of the debts of the past and they are the only team that is actually as strong financially as Olympiacos. Unfortunately for them, they have not got rid of the self-destructing tendency they have. Add to this their demanding fans and you end with a team that is constantly stressed and has confidence issues. They come from an away draw against Panathinaikos (2-2) which was a positive result when you think they were down by 2-0. Believe it or not, they have not won any of their last 8 (!!!) matches in Super League (0W-3D-3L) and the Cup (0W-2D-0L). Coach Tudor is constantly expected to be sacked but he is still here. The next two matches of PAOK are must win situations as they need to keep Asteras Tripolis away from the fifth place today and then win their Wednesday Cup match against Olympiacos (1st leg). The good news is the draw at Apostolos Nikolaidis gave a boost to the players. Asteras Tripolis was expected to be after the Play Offs and they have totally wasted the chances they got from the rest of the candidates. Now they will play at Toumba with a hope to save the season with a win that will allow them to push PAOK out of the Play Offs. We must remember they still have good chances to make it if Panionios will not keep up with the undefeated streak they have built. It looks like the change at their bench worked only for one match (the win over Levadiakos, 2-1) with Asteras having 0W-3D-1L since then. They kept a clean sheet in the last two matches against Xanthi (0-0 away) and Giannina (0-0 at home) but they have scored only once in their last 7 matches making the absences of Giannou (top scorer, transferred) very obvious. PAOK has difficulties when facing Asteras Tripolis lately. In their last 8 matches in Super League they have 0W-3D-5L against this opponent but the good news is they are in good spirit after the draw against Panathinaikos. I do not want to underestimate Asteras but I cannot see how an offense with only one goal in the last seven matches can escape with a positive result at Toumba. Especially when PAOK is has so many things in stake… The handicap win of PAOK (-1.5) @ 3.00 is not a long shot. Usually their fans score the first goal in important matches like this one.